Did Christians really 'steal' Easter? (CNN) - It’s that time of year again: the time when chocolate comes in pastels, cherry blossoms start to bloom and well-marketed religion exposés are released to the world. In other words, it’s Easter. Among the rash of sensationalist stories we can expect through the season, the annual “Easter was stolen from the pagans” refrain has sprouted again just in time for Holy Week. Perhaps most misinformed theory that rolls around the Internet this time of year is that Easter was originally a celebration of the ancient Near Eastern fertility goddess Ishtar. This idea is grounded in the shared concept of new life and similar-sounding words Easter/Ishtar. There’s no linguistic connection, however. Ishtar is Akkadian and Easter is likely to be Anglo-Saxon. But the biggest issue for Christians is the claim that Jesus’ resurrection - the faith’s central tenet - might have pagan roots. (CNN) - With Easter approaching, and the movie “Son of God” playing in wide release, you’re going to hear a lot about Jesus these days. You may hear revelations from new books that purport to tell the “real story” about Jesus, opinions from friends who have discovered a “secret” on the Web about the son of God, and airtight arguments from co-workers who can prove he never existed. With that in mind, here are five things you probably didn't know about Jesus. 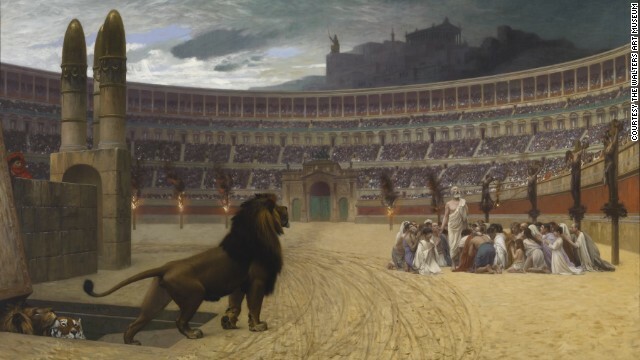 Roman persecution of Christians was depicted in paintings such as "The Christian Martyrs' Last Prayer" by Jean-Leon Gerome. (CNN) - She walked into the Roman arena where the wild beasts awaited her. She trembled not from fear but from joy. Millions of Christians worldwide will celebrate the death and resurrection of Jesus on this Easter Sunday. But the story of how the church rose to prominence after Jesus’ death is being turned upside down. Does Easter celebrate a man, a savior, or a myth? Some say Jesus never existed and was a myth created by early Christians. But the name on the amulet wasn’t Jesus. It was a pseudonym for Osiris-Dionysus, a pagan god in ancient Mediterranean culture. Freke says the amulet was evidence of something that sounds like sacrilege – and some would say it is: that Jesus never existed. He was a myth created by first-century Jews who modeled him after other dying and resurrected pagan gods, says Freke, author of "The Jesus Mysteries: Was the ‘Original Jesus’ a Pagan God?" J. Wilson (right) drank only beer for Lent. 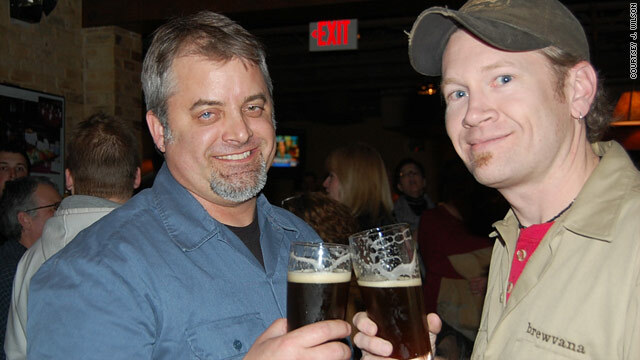 Brewmaster Eric Sorensen (left) helped make the beer. (CNN) - J. Wilson has survived his 46-day beer-only fast and found some unexpected spiritual insights. Wilson, who lives outside Des Moines, Iowa, was emulating a Lenten tradition carried out by German monks hundreds of years ago. In keeping with tradition he ate his last solid food on Ash Wednesday and broke his fast on Easter Sunday. “I made a bacon smoothie and that’s what I broke the fast with,” Wilson said. 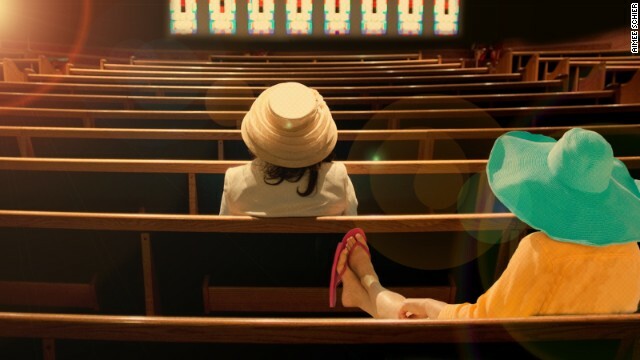 iReporter candy91 was on her way to church on Easter Sunday, and when she saw the high flood waters at Mount Calvary Powerhouse Church in Poplar Bluff, Missouri, she almost turned around and went home. A church van was shuttling people through the water and she helped transport a few people in her car as well. She had no idea that one of the young men in her car was planning to be baptized that day. Marcus Pegues was baptized in the flood waters. "He got baptized in the water that God provided for us. … We trudged on and had our Easter service. We didn’t let the water stop us," she said. 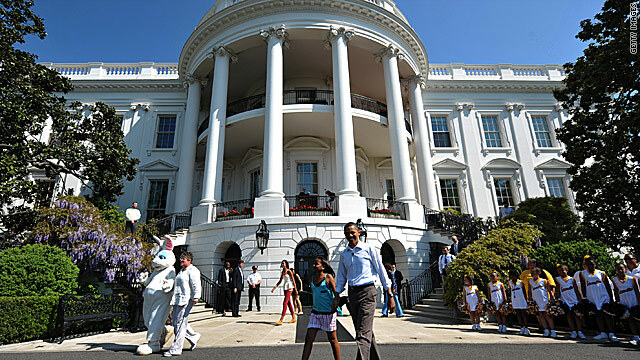 Washington (CNN) -– With the Easter Bunny at their side, the first family opened up their backyard to 30,000 people from all 50 states for the annual action-packed Easter Egg Roll on Monday. As Colbie Caillat sang the national anthem, President Obama appeared on the Truman Balcony overlooking the South Lawn with the first lady, their daughters Sasha and Malia, and his mother-in-law, Marian Robinson. Seattle's Mars Hill Church held its Easter service at Qwest Field. KCPQ's Jeff Van Sant reports. 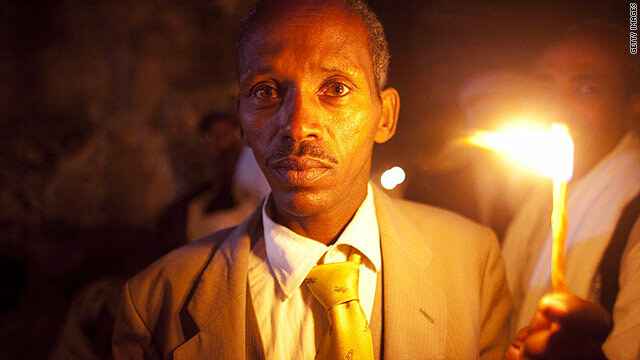 An Ethiopian Orthodox worshipper celebrates the Holy Fire ceremony on Saturday in Jerusalem's old city. 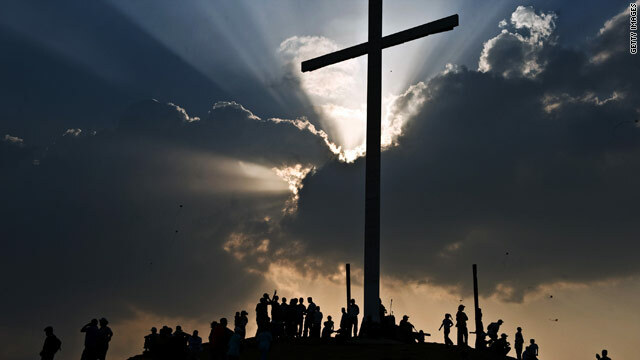 Christians marked the Holy Week of Easter to commemorate the crucifixion and resurrection of Jesus Christ. See our high-resolution gallery of images from around the globe.